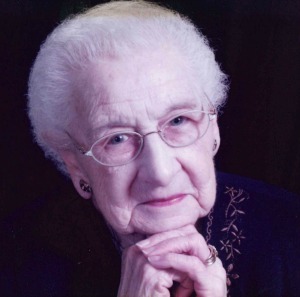 Frances E. Mundey, 93, of St. John’s Herr Estate, Columbia, PA, formerly of East Petersburg, PA, died at Luther Acres under the care of hospice, surrounded by her family, on Tuesday, May 22, 2018. She was preceded in death by her husband of 61 years, Richard W. Mundey, who passed away in 2007. Born in Chester, PA she was the daughter of the late Frank J. Hirst, Sr. and Beatrice T. (Bessett) Hirst. Frances was a graduate of Allentown High School. She was a former bookkeeper and dedicated her life to her family as a homemaker. She was a member of Zion Evangelical Lutheran Church in East Petersburg for over 50 years and served as a volunteer on many of the church committees, including their food bank program. Mrs. Mundey was an excellent seamstress, enjoyed crocheting and cooking for her family. She was an avid Phillies fan and loved watching her children and grandchildren in any events they were involved with. Surviving is a son; Richard A. Mundey, husband of Judy, of Landisville, PA, two daughters; Beatrice A. “Trixie” Jackson of Tunkhannock, PA and Sallie J. Brandt, wife of Jake, of Conestoga, PA, six grandchildren; Kyle Jackson, husband of Katie, Derick Mundey, husband of Bizzy, Dara Bower, wife of Kevin, Dana Blymier, wife of Mickey, Diana Witmer, wife of Tim, and Joshua Brandt, 13 great-grandchildren; Ryker and Archer Jackson, Max and Harper Mundey, Addalyn, Aubrey, Averianna, Ariella, and Asher Bower, Monroe Blymier, and Peyton, Dane, and Colt Witmer, three brothers; Frank Jr., James, and Pierre “Doug” Hirst, one sister; Loretta Melick, all of Allentown, PA.
She was preceded in death by brothers; Ralph, Gerald, Forrest, William, Eugene, and Robert Hirst, and by one sister; Jeannette Hirst. Funeral Services will be held on Saturday, May 26, 2018 at 11:00 AM at Zion Evangelical Lutheran Church, 1905 Broad St., East Petersburg, PA with the Rev. Margaret Kassees and Rev. Mary Margaret Ruth officiating. The family will greet friends from 10:00 AM until the time of the service. Interment in the adjoining church cemetery to follow. In lieu of flowers, contributions in Mrs. Mundey’s memory may be made to Zion Evangelical Lutheran Church or to Hospice and Community Care, PO Box 4125 Lancaster, PA 17604-4125. I am deeply sorry for your loss of Frances. May you find comfort in the many precious memories you shared as we as God’s promise to restore our dear loved ones to perfect life on a paradise earth. As you contemplate that promise, draw close to God in prayer and he will draw close to you and provide the needed strength to carry you through the difficult days ahead. All the best wishes for your family at this time, take care. I will remember Fran as both a friendly and spirited lady who enjoyed people. As a long time member of our church, Fran was a very regular attender and supporter. When her daughter, Trixie, visited church with her, you knew Fran was enjoying the day very much. My sympathies to all in Fran’s close family, knowing that both grief in losing her and the joy of sharing life with her fill your thoughts and heart. My wife, Ann and I send our love ( unable to greet you Saturday, on river boat on Mississippi). Our deepest sympathies on your loss of this great lady. Our prayers will be with you as you go through this time of remembering her life. My condolences on the loss of your mother. My mother used to talk about her quite a bit before she passed on. Hang onto the memories and share them with each other.